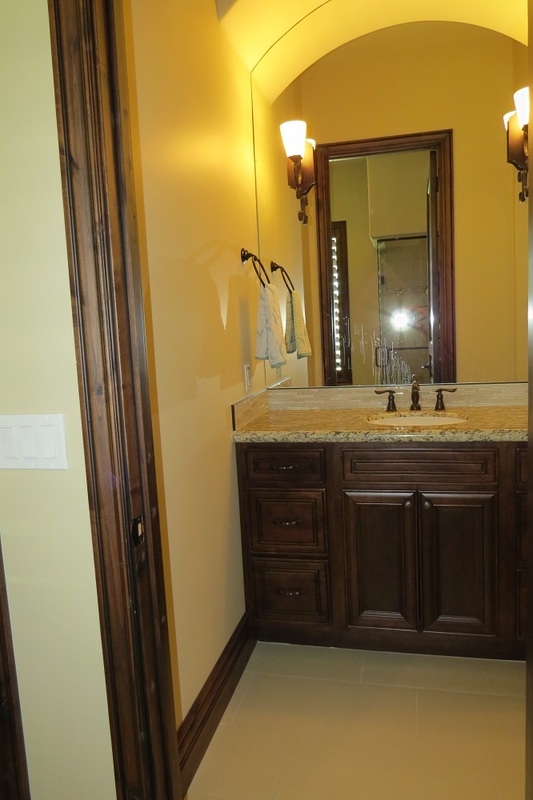 Custom Oakcraft cabinets in the bath. 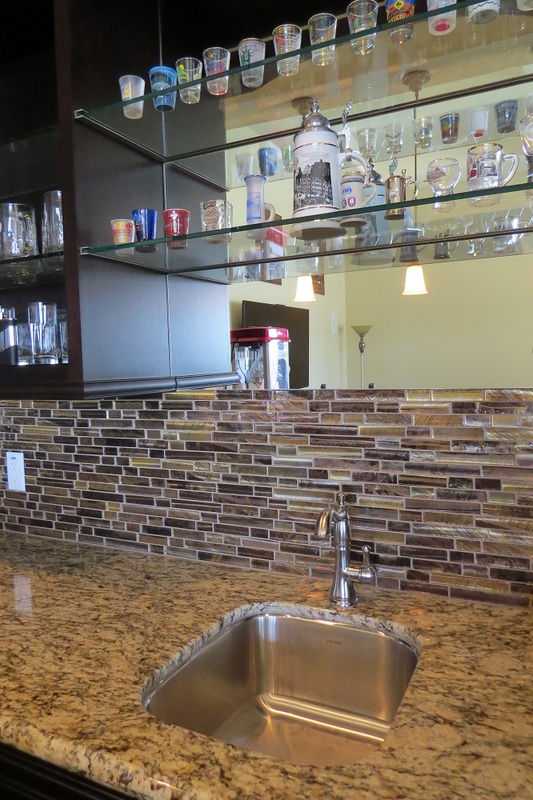 Tile work and glass shelving at the wet bar. 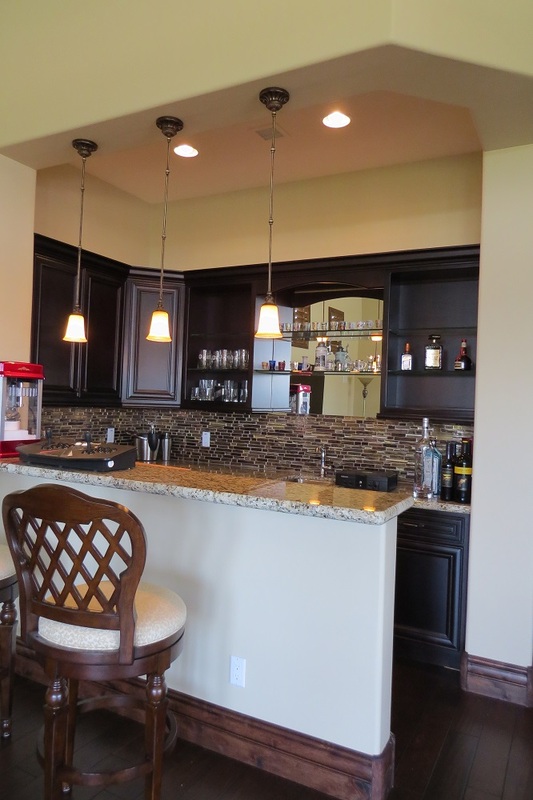 Custom cabinets for the wet bar. 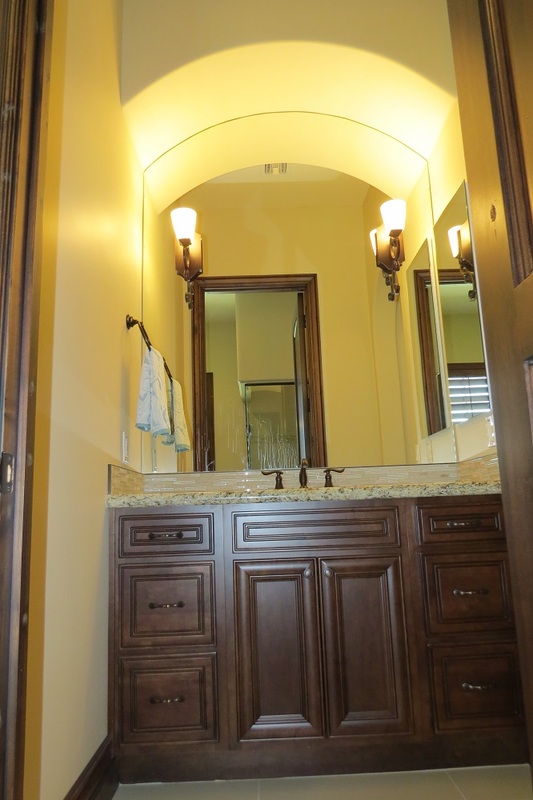 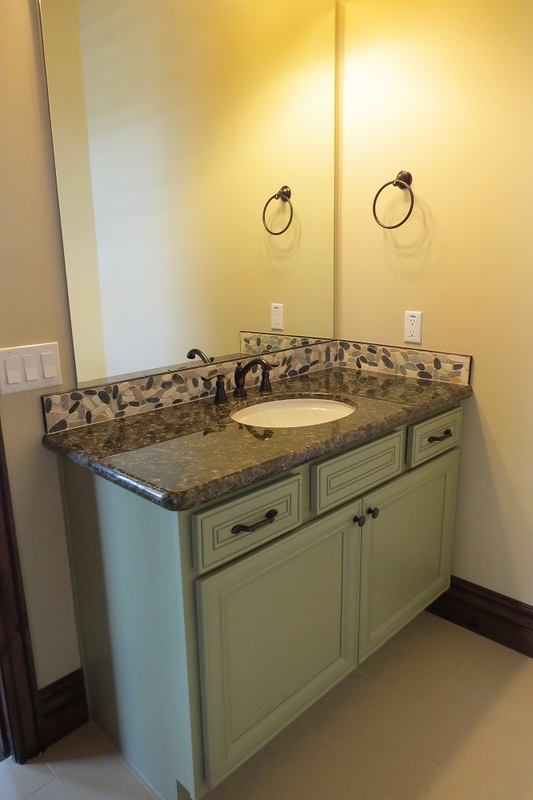 Custom cabinets and countertop in the bath. 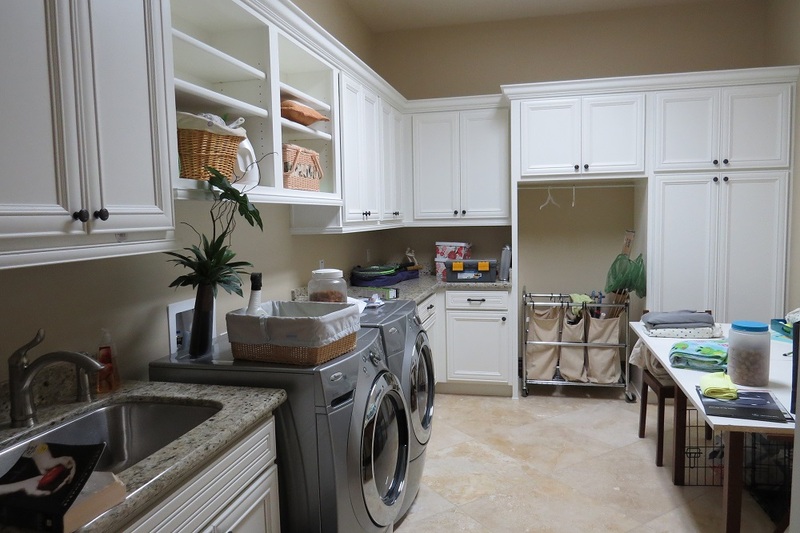 Custom cabinets for the laundry room. 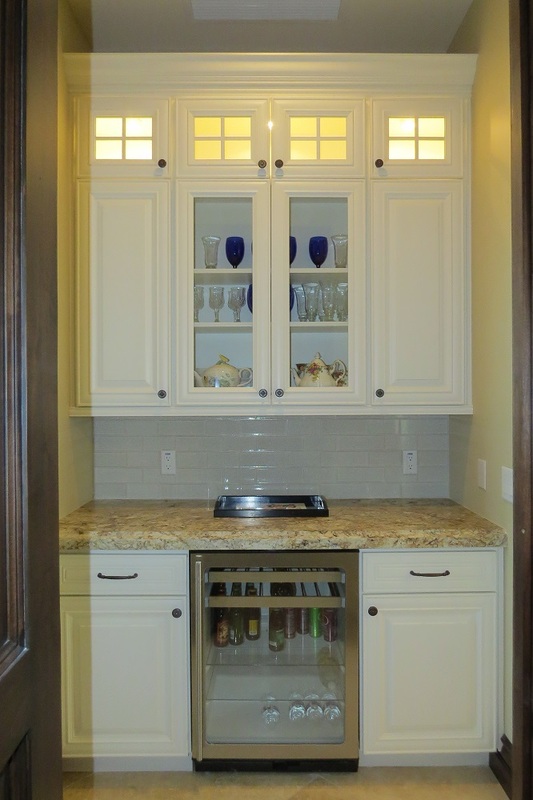 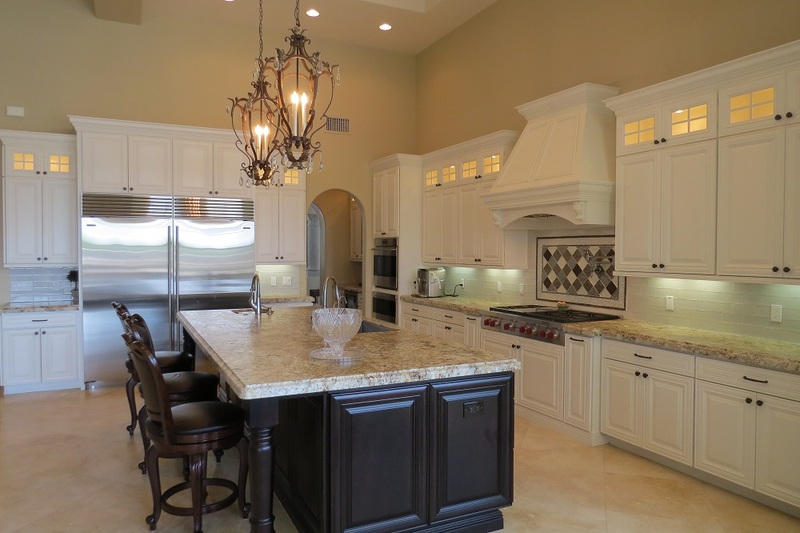 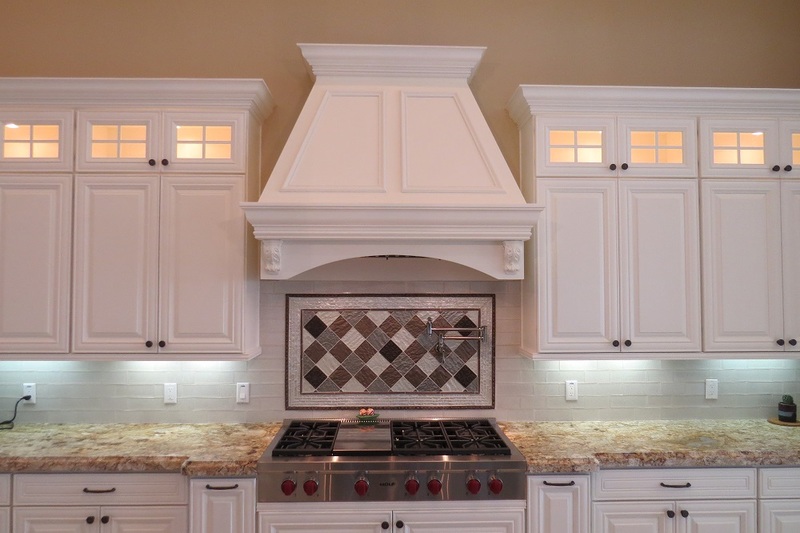 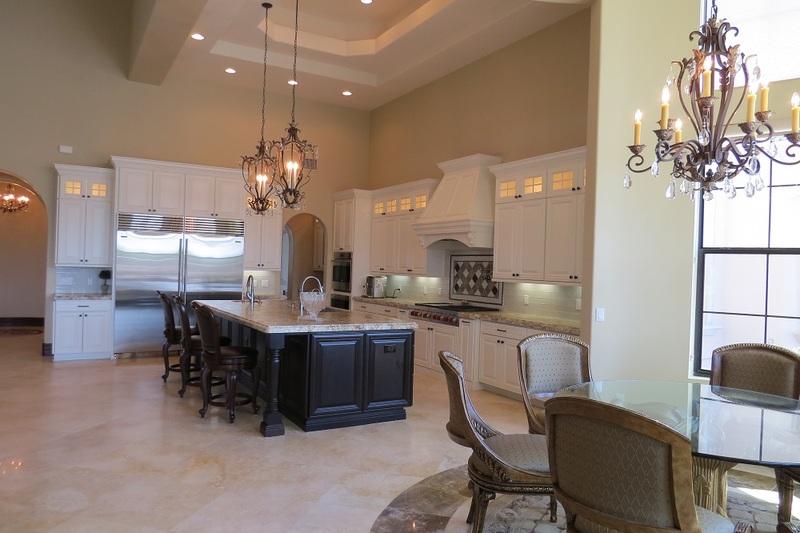 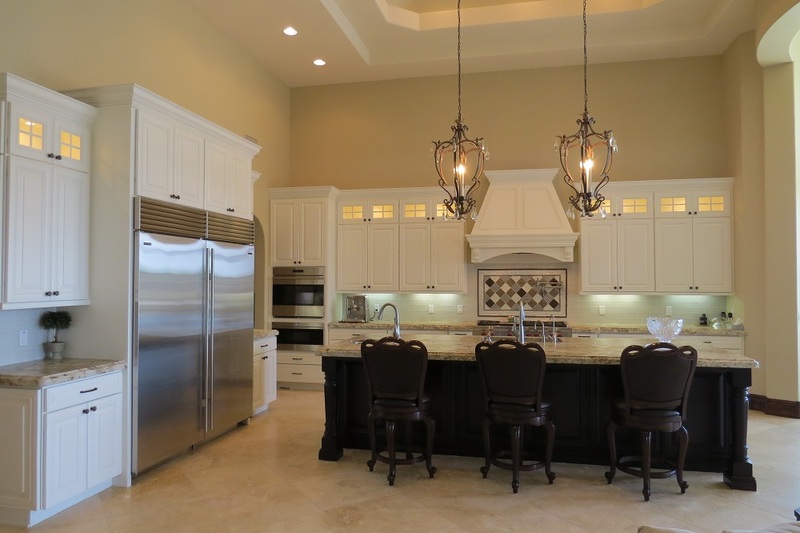 Kitchen cabinets are Oakcraft custom with coconut white stain. 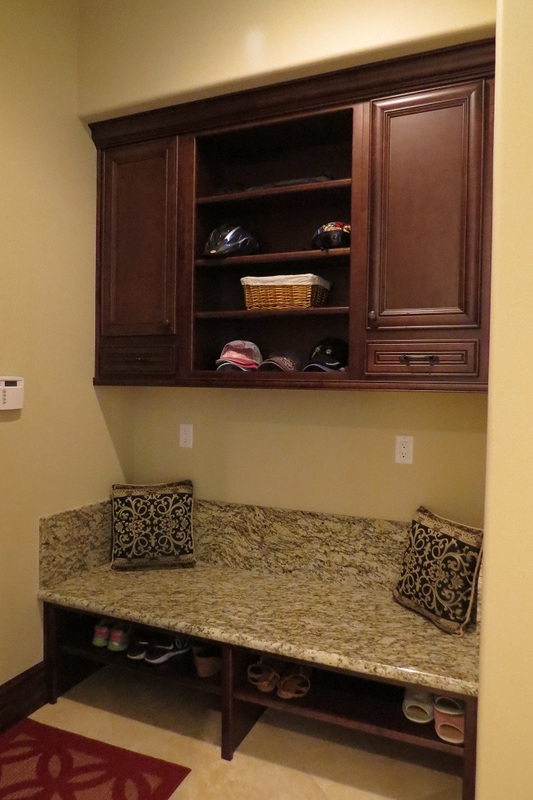 Additional seating at the island. 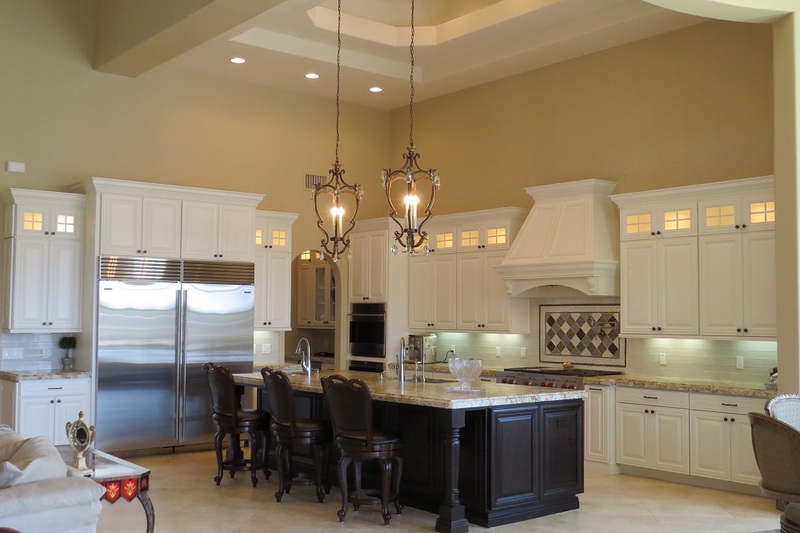 Island is Oakcraft custom cabinets with espresso stain.